We have written before about our concerns related with the housing crisis in Spain, about some proposals to reuse the abandoned skeletons and the related legal issues which emerge when talking about mortgages, evictions and the economic framework that people has to face when they want to redeem their mortgage. 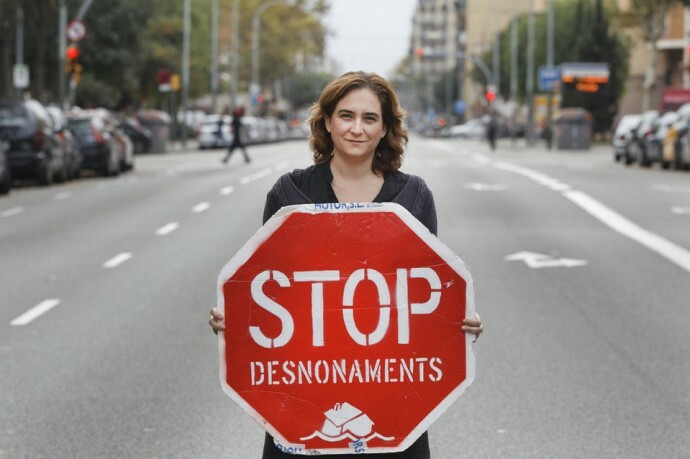 To research deeper on all this facts, we had recently the opportunity to interview Ada Colau. She’s not an architect, sheʼs an activist trained in philosophy at the Barcelona University, but she has done for architecture more than what is thinkable for some practitioners in our ﬁeld. Founder of Plataforma de Afectados por la Hipoteca [La PAH], a Spanish grassroots organization that campaigns for the right to a home, they have succeeded to process what we know as an ILP [a citizen initiative] to propose that government develop a new mortgage legislation. This ILP, backed with 1,402,845 signatures from citizens, proposes the regulation of three key aspects to guarantee housing rights. Due to all this work, in January 2013, the PAH was awarded the European Citizens’ Prize. Part of this interview with Ada Colau, has been published in the most recent issue of Volume #38 “The Shape of Law“, where we talk about how to confront the law in order to find feasible solutions and legal ways to improve our current housing situation. /// Thanks to Brendan Cormier for the synergy between Volume and Quaderns. /// From Quaderns we want to thank Simona Rota for her wonderful pics, very useful to understand the real state bubble in Spain.